The United Kingdom is composed of four countries: England, Northern Ireland, Scotland and Wales. 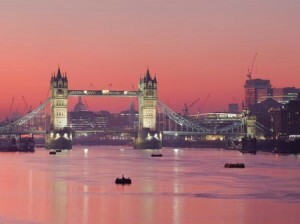 London, being the capital of the country, is the center for business and industry. UK is located in mainland Europe’s north-western coast. Weather in the United Kingdom is different from day to day. Contrary to popular belief, rain does not happen every day. It can be sunny today then the next day, there might be rain. Therefore, it is advisable to be ready with any rain gear. In England, the warmest months are July and August while the coldest months are January and February. The best time to travel to UK is in May, June, September and October. It is during these months when the weather is most pleasant. United Kingdom is a country that boasts numerous tourist spots from north to south, east to west. If you are planning for a trip to the UK, here are just some of the things you could include in your bucket list. Hadrian’s Wall is a World Heritage Site that has been standing since AD122. In here, you can see the remains of Roman archeology and foundations of several temples and buildings. It will take a long journey to complete the Hadrian Wall it would be advisable to wear the most comfy shoes you have. If you are entering the United Kingdom via the Heathrow Airport in London, it would be a great idea to explore the city of London by starting at Westminster where the Big Ben Clock is perched. The Big Ben Clock is an icon in the heart of the city as it chimes every hour every day. To reach the top of the tower, you have to climb 334 narrow steps going up and going down. Take note that entry is free. Harrogate’s spa evolved from the Victorian Royal Baths. You will be delighted to see the awesome interiors of the place which consists of terrazzo floors, glazed brickwork, painted ceilings and Islamic arches and screens. The ambiance will really take you back in time. Enjoy the Turkish bath as you move from one room to another where temperatures vary for steaming. The entire United Kingdom is truly gifted with great tourist spots both natural and man-made. The country is endowed with countless architectural buildings and castles that have been present for many centuries now. Traveling from one place to another is usually done by trains and buses; however, for short distance trips, car hire and taxis are available.